This is my attempt to answer the very first set of questions asked by new Chromebook users. If you just bought a Chromebook, I am sure you will find this useful. We will start with the basics and take it from there! Imagine yourself on a trip. Will you pack everything that you need for your trip into one big bag? Are you ready to open your big suitcase every time you need to show your ID card to the security personnel at the airport or when you have to write something on a notebook? Most of us (if not all of us) carry a small travel bag with us where we keep things that we need quite often during the trip. Do you need a full computer all the time? The complex operating system, all those applications and services that run in the background every time you open the computer just to send an email? If you are picking up your laptop to send an email or just to login in to Facebook, or watch a movie or play some music, do you need all those confusions or just a simple computer with a powerful web browser on it? Something that starts up fast and helps you go online within seconds? Chrome OS is for those moments. If your computing needs consists of lots of such moments, Chrome OS and Chromebooks will make a lot of sense to you. What is a Chromebook? Chromebooks are laptops that run Chrome OS, a new type of operating system that Google makes. It is a simple computer that everyone can use without worrying about software updates or antivirus software. They work better when connected to the internet and has plenty of features that work even when you are offline, to keep you productive or entertained. If you use Google Chrome on your Mac or PC, you already know how to use a Chromebook because the most important part of a Chromebook is the Chrome browser. There are a few things that make Chromebooks different from other computers. Here is a guide to get you started with Chromebooks. Tell me this, if you do not have internet connection, how long will you use your computer, apart from watching movies or listening to some music? Without a working internet connection and a browser, computers today are merely entertainment devices for a good percentage of people. I am not saying that web browsing is the only thing that people use their computers for, but for many, a working internet connection and a good browser will suffice for most of their computing needs. For another large group, outside their working hours, a browser and internet is all they need on their “second computer”. When I am at work, I use a combination of web applications and native desktop applications like Microsoft Excel and image editing software etc. When I reach home, I spend most of time on my browser, reading news, writing this blog, helping users on Google forums and using social networks and instant messaging. I use YouTube as my primary music app, Trello to manage my blog and other projects. Wunderlist maintains my family shopping list. Pocket has all the content that I saved for serious reading, Feedly has all my news sources. The list goes on and on. Yes, I just need a good browser on a computer that I use at home. The so called “second computer”. Chromebooks make a good second computer for me. I have a Windows PC at home, but it stays idle most of the time after I started using Chromebooks. One of the first videos Google released to explain the Chrome OS concept will help you understand why Google built Chrome OS. Where is the Delete Key and Caps Lock On A Chromebook? You can configure the Search key to do other things. Go to the settings page and search for Keyboard Settings. On Keyboard Settings page, Search dropdown menu is what you are looking for. You can set it to work as Alt, Ctrl , Caps Lock or disable it. Important! : If you re-map keys, other keyboard shortcuts where SEARCH is involved will stop working. It is hence not recommended to re-map keys. For Delete key, press ALT + Backspace. You can use the same keyboard shortcut for deleting files from the file manager and Google Drive. Can I Install Itunes or Photoshop? How do I update Chromebook? 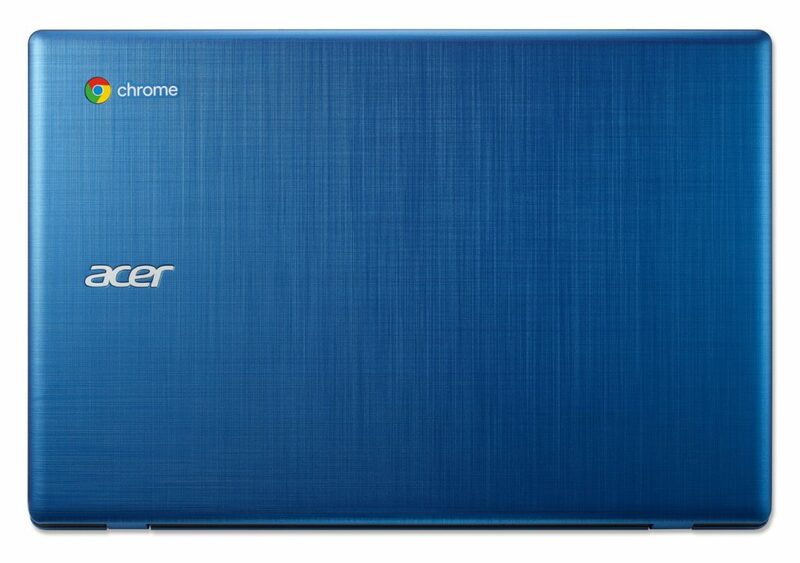 How do I Install Software / Programs on My Chromebook? Can I Use Photoshop on my Chromebook? Can I Install iTunes on a Chromebook? How do I Update Chrome OS on My Chromebook? Chrome OS updated automatically. There is a new version of Chrome OS coming to your every 6 weeks. This means you have the most updated technology all the time. According to Google, Chrome OS does not require any antivirus software because of the way it is built. Here is the official description. How Big is Chrome OS? How Much Space Do I Get on 16GB SSD? Chrome OS is about 6 GB. Typically, your 16GB Chromebook SSD will leave you with 9 – 10 GB to use as local storage. Can I Play Videos and Music on My Chromebook? Can I Connect my External Hard Drive? Can I Connect USB Drive, Keyboard, Mice and Similar Accessories? Most of them, actually. Here is the official list. Can I Open Microsoft Word or Excel Files on It? Is Microsoft Office Available? Microsoft Office is not available on Chromebook. However, if you are looking for a full office suite, Google Docs is a good option. That is when you need to create new documents. If you have a Word document or an Excel Sheet, you can view and edit them on your Chromebook. Chromium OS and Chrome OS, What Is The Difference? Google Chrome OS is to Chromium OS what Google Chrome browser is to Chromium. Chromium OS is the open source project, used primarily by developers, with code that is available for anyone to checkout, modify and build their own version with. Meanwhile, Google Chrome OS is the Google product that OEMs will ship on Chromebooks next year. Therefore, dear developers who have built and posted Chromium OS binaries, you’re awesome and we appreciate what you are doing, however we have to ask you to call the binaries you’ve put up for download “Chromium OS” and not “Google Chrome OS”.